Come in this week for lots of good deals on quality art and antiques. Call us at 214-761-1575 with any questions or for prices or dimensions. SEVERAL MORE SHIPMENTS ARRIVING THIS WEEK. We have lots of great art work and furniture this week! Great prices too. Next week we are expecting several LARGE European shipments. Call 214-761-1575 with questions and for measurements and prices. We have some really great furniture pieces and antique smalls in the store this month. Come checkout the incredible variety we continue to offer! Great prices too. This is just a sampling of the new items. More arriving over the weekend. Come see our huge variety of antiques and art! Happy New Year! Here's the first shipment of 2019. We are loaded with new inventory. Lots of sideboards and buffets, tables and chairs, art and decor. We also have the end of the year liquidation ongoing into the first of the new year. Come on in, as soon as possible. Call 214-761-1575 for prices and dimensions. Here are some of the newer items in the store. We are offering a lot of discounts to clear out older inventory in the store. Check back at our store often, for the newest round of markdowns! Here is the first shipment of September, mostly French with lots of sideboards and buffets, as well as tables, cabinets and bookcases. There are also a lot of small items and décor from our local pickers. The store is really packed!!! Call 214-761-1575 for more details or prices and dimensions. New items throughout the store and we are offering special Summer Pricing! Lots of new items and we are offering special summer pricing. Our A/C is keeping it nice and cool in the shop! Lots of new things this week including religious art, furniture, majolica and many cool things. Come by this week end. Call 214-761-1575 for prices and dimensions. IT WAS A HUGE SUCCESS. THANK YOU ALL WHO PARTICIPATED! Lots of Furniture is jam packed again. We have lots of interesting items from local pickers and estates. Some interesting collectibles and artwork are her this week as well as English pine furniture, iron fencing and a selection of lamps. Call 214-761-1575 for prices and dimensions. BIG European shipment came in this weekend. lots of big stuff, old stuff and beautiful things. Just received a shipment of super fine quality antiques from Europe and northeast United States. Beautiful sideboards, tables, chairs, mantles, mirrors and artwork. Really fine stuff, come check it out. Call 214-761-1575 for prices and measurements. Happy Easter! Many great items this week. Tiffany bronze inkwells and desk sets, a complete set of the stations of the cross in plaster. We have a lot of small décor and collectible items in the store this week. They are all priced to sell!. We have so many of them that we can hardly find the furniture underneath them. Come in and take advantage of our overstock situation. Call 214-761-1575 for prices and dimensions. Things have been coming in from all over. We are really packed in here! We have a full truckload waiting to be unloaded, but we can't fit it in here. Come help us out and buy something. Call 214-761-1575 for prices and dimensions. Spring Cleaning Sale! Begins Saturday March 3rd. Lots of great deals! Don't miss this one! We have lots of new items in the store. Patio furniture to prepare for spring, several Bookcases, Dining Tables, Buffets, Lighting, Religious items, Decorative items and lots of Oil Paintings! Now is a great time to check us out! Just received a large shipment of French and English furniture and architecturals. Lots of tables, chairs, server and buffets. There are also lots of quality cast ironbenches, iron fencing and doors. Come quick, before its all gone Call 214-761-1575 for dimensions and prices. This is the First Album of the New Year! The store is jam packed now, with a lot more expected soon. The first of the year is a perfect time to buy because the selection is great and the prices are low. Call 214-761-1575 for prices and dimensions. It just keeps coming. We've got a lot to offer lately! Our sale continues..
We have so much cool stuff this week. A giant water buffalo mount, a "Jungle" pinball machine and a nice selection of jewelry and small gift items are all here and priced right. We also have lots of cabinets, sideboards, tables and chairs coming in. Call 214-680-6853 for prices and measurements. Lots of fabulous stuff at Lots of Furniture this week! We have new art, lots of antique and vintage décor, stained glass windows and of course the best selection of newly arrived antique furniture anywhere. Call 214-761-1575 for pricing and more information about any piece you see here. It looks like the flood gates have opened! We have so much inventory we can barely move! Lots of fantastic quality antiques and so many bargains on just about everything. Next week, our super closeout liquidation before the end of the year sale begins. Call 214-761-1575 for prices and dimensions. The store is full of new items again! There is a little bit of everything. We just did another round of markdowns on older merchandise, so some great bargains right now! All outdoor items are going to be slashed next! These are better photos of the recent shipment and some new arrivals. A really nice shipment of carved furniture and Country French furniture arrive today. With it, there are also a lot of accent pieces and religious items . This is the first of several fall shipments coming soon. Come see us now for the best selection. If you need prices or dimensions just call 214-761-1575. The store is packed again! We just got a nice European shipment in with lots of sideboards, displays, bookcases, tables and much more. Our local pickers and estates have brought in art, collectibles and lots of fun stuff. If you need prices or dimensions just call 214-761-1575. The store is packed with New Items and Items that have been put on sale! More arriving this week. Layaway is available for Sixty days on any item at any price level. Delivery can be arranged locally or we will put you in touch with a great shipper if outside of Texas. Come see us! Things have come in from multiple sources. We are really packed in here! Come see us. Call 214-761-1575 for prices and dimensions. Our Spring Cleaning Sale turned into a Crazy Memorial Day Sale. Some of our prices are so low they look ridiculous! We are in the deal making mode. Come see us this week end or Monday. Call 214-761-1575 with questions. BIG SALE GOING ON NOW! We are jam packed with inventory so we are having a Spring Cleaning Sale. Everything is on sale. If it doesn't have a sale tag on it yet, (we are still marking everything down) just ask and we'll get you one! Call 214-761-1575 with questions. Great stuff is coming into the store this week. Most of it is from local pickers and estates, so there's a great variety. Check it out! You'll be amazed . Come on down and let us make you a deal. Call 214-761-1575 for dimensions and prices. Lots of new things to look at this week from France, Belgium and England. We have a lot of tables and serving pieces right now on the sales floor. Come on down and let us make you a deal. Call 214-761-1575 for dimensions and prices. There are two large truckloads arriving today! Our shop is packed with new items and we have slashed the price on some of our older pieces. We need room for the new stuff! There are some great deals on lots of things. More pictures later today and tomorrow. We have so much coming in that we can't see to get find time to post photos! Here is just some the the great inventory we have received in February! Call us at 214-761-1575 for prices and dimensions. There is a huge amount of inventory in the store. We bought out a couple antique stores and received a huge European shipment this month and have neglected the website because of the huge amount of work involved. Here are the first pictures. This is the First Album of the New Year! The store is jam packed now, with a lot more expected soon. We are kicking off the New Year with lots of weekly specials and daily markdowns. The first of the year is a perfect time to buy because the selection is great and the prices are low. Call 214-761-1575 for prices and dimensions. This may be the last big shipment we get this year, but don't worry, we have lots of merchandise coming for the new year. In this shipment you'll find lots of sideboards, cabinets, chairs and small accent pieces. Call 214-761-1575 for prices and dimensions. Merry Christmas and Happy New Year! We have just received a BEAUTIFUL shipment of antique furniture and décor with amazing prices! This is one of the best shipments we've had this year. Our sale is still on too, because it is the Black Friday and Small Business Saturday weekend after all and we have a lot of inventory to move before the end of the year. Please come and see us this week end and relax after your Black Friday shopping. Call 214-761-1575 for prices and dimensions. It's been a month since we posted any new arrivals! We've been so busy with our sale we just haven't had time. We've had hundreds of great new pieces come in this month and here are just some of the most recent arrivals. Call 214-761-1575 for prices and dimensions. This week we received a nice shipment of European decor and small furniture, as well as sideboards, tables and chairs, a lot of Indian architecturals and many cool pieces for your house, apartment or loft. Call 214-761-1575 for prices and dimensions. Today we received a great shipment from France and Belgium. Lots of tables, buffets huntboards and servers. There are some armoires, architecturals and cabinets too. We are also continuing our sale thru August. Mention that you saw it on our web site and get and additional 10% off the sale price. Call 214-761-1575 for information. Lots of cool and functional stuff coming in daily this week! There's a good selection of furniture and art. Come spend time with us this weekend and have fun and get some good deals. Call 214-761-1575 for more details or prices and dimensions. Lots and lots of new stuff is coming in! We've been so busy we've neglected posting new photos. You won't believe the variety of quality merchandise available this week. Come see us . Call 214-680-6853 for prices and dimensions. This is just a sampling of our newest items from the last week or so. More arriving daily. There are lots of unusual items in the shop this week and more arriving on Friday afternoon and into Saturday. Come see us! This new shipment is full of fine quality antique furniture and one of the most awesome stained glass windows we have ever had. Prices are good on this new shipment, and the older merchandise is ready to be marked down to sell! Call 214-761-1575 for prices and dimensions. This is the first new arrival album for May, even though we've had a lot of new items coming in every day! We have lots of furniture including antique tables, chairs, servers chests and more. Come in now for the best selection. Call 214-761-1575 for prices and dimensions. We have a packed store and we just got in a new shipment from Belgium. HELP!! We can't move. Sales have been good, but the amount of new arrivals has become rIdiculous, and we have more coming tomorrow. Come in now and get some really good prices on quality antique buffets, sideboards, tables, chairs and all kinds of cabinets. If you're looking for stained glass windows we just got almost 100 new vintage windows. Call 214-761-1575 for prices and dimensions. We have a jam packed store again! Sales are having a hard time getting ahead of new arrivals. We still have a truck to unload tomorrow! Here are some of the pictures, hopefully more to follow very soon. Come see us today or Saturday because we'll be closed on Easter! Call 214-761-1575 for prices and dimensions. This week we have a nice shipment of American furniture, collectibles and architectural items from back east. The prices are good. Come see us this week end. We have sold enough that you can walk down the aisles now! Call 214-761-1575 for prices and dimensions. Another gigantic shipment has arrived. We thought we couldn't get any more in the store, but we were wrong! Come on down this weekend and get a good deal. Wear your shinny jeans, so you can get down the aisles! Call 214-761-1575 for prices and dimensions. A huge new shipment arrived yesterday. There is so much merchandise we can't fit it all inside the store. Come see all the furniture, art and décor and then buy something! Call 214-761-1575 for prices and dimensions. This week we have lots of cool stuff from local sources and pickers. We have lots of tables, chairs, sofas, serving pieces midcentury furniture, rugs and art. Call 214-761-1575 for prices and dimensions. Just received a small shipment of furniture and stained glass windows from England. Our local pickers have brought in some fantastic pieces as well! we have a lot to look at this week end. Call 214-761-1575 for prices and dimensions. We have a new shipment of French and English furniture and art that is priced to sell! Lots of big serving pieces, tables and chairs. Come in now, before we sell it all! Call 214-761-1575 for prices and dimensions. This is the first new arrival album of the new year! We have lots of good stuff including antique tables, chairs, servers chests and coffers and tons more coming. Come in now for the best selection Call 214-761-1575 for prices and dimensions. We have a jam packed store! Sales have been good, but the amount of new arrivals has become an avalanche. We still have a truck to unload tomorrow! Here are some of the pictures, hopefully more to follow very soon. Come see us before Christmas! We will be closing early on Christmas Eve and reopening on Saturday, December 26th, 2015. Call 214-761-1575 for prices and dimensions. Come in this week end for great deals on new inventory and a big liquidation sale on western ranch and lodge décor. The store is packed! We can barely move. We will really be dealing this weekend. Call 214-761-1575 for more details and prices. We're getting ready for the holidays by loading up on lots of antique sideboards, servers, buffets, tables and chairs from France and Belgium. We have lots of styles and sizes available. Come in now for the best selection. Call 214-761-1575 for dimensions and prices. Come in this week-end for some great deals on new arrivals. We have lots of furniture, décor, art and architecturals. Call 214-761-1575 for more details or prices and dimensions. Lots of interesting pieces have arrived this week, including early French furniture, mid-century furniture, industrial and architectural items and lots of art. We are starting to mark everything down for our fall sale. Come check out the prices! Call 214-761-1575 for more details or prices and dimensions. We just received a nice shipment of antiques from Europe, with French and English furniture and some interesting Chinese pieces as well. We have lots of stuff for sale and on sale this week. Come check it out! Call 214-761-1575 for more details or prices and dimensions. There is a lot of new inventory for sale this weekend. 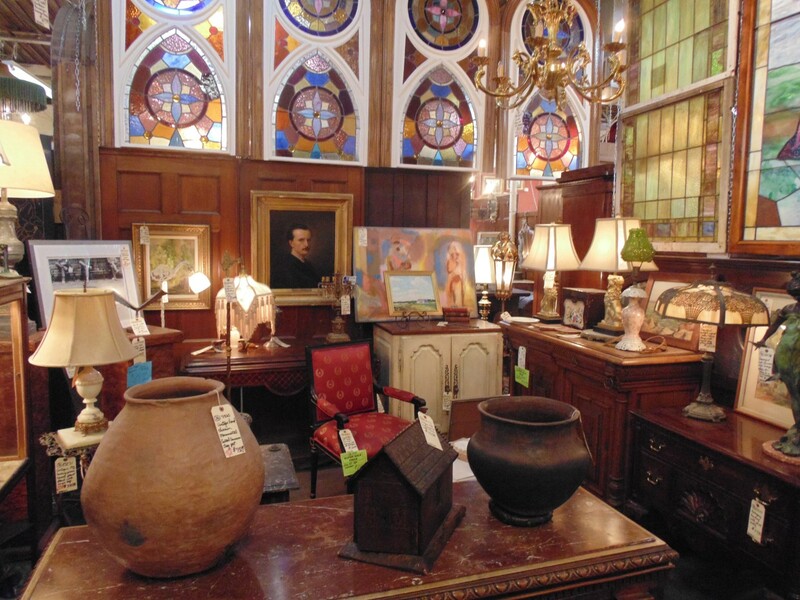 You'll find beautiful art, a bunch of antique furniture and some quality smalls and collectibles. Call 214-761-1575 for more details or prices and dimensions. Here is the 2nd part of the second shipment of September, this one being mostly huge furniture, with lots of rustic cabinets, servers, desks and more. Come by this weekend or today to see the huge furniture. Call 214-761-1575 for more details or prices and dimensions. Here is the first part of the second shipment of September, mostly small items, with the rest arriving Monday. Come by this weekend or Monday afternoon to see all the great stuff! Call 214-761-1575 for more details or prices and dimensions. Here is the first shipment of September, mostly French with lots of sideboards, buffets, chairs and tables. There are also a lot of small items and décor from our local pickers. The store is really packed!!! Call 214-761-1575 for more details or prices and dimensions. A nice shipment of French furnishings, art and religious items has just arrived. There is also a lot of art, furniture, décor and yard items from our local pickers. Come check it out! Call 214-761-1575 for more details or prices and dimensions. Lots of cool stuff coming in daily this week! There's a good selection of furniture and decor. Come spend some time with us this week and have fun and get some good deals. Call 214-761-1575 for more details or prices and dimensions. This week there is such a wide and interesting variety in the shop that there has to be something for everyone. We've received antique furniture, small items, decor etc covering a wide range of tastes. Call 214-761-1575 for information, dimensions and pricing. A great shipment of French furniture has arrived. Come on down, or call while the selection is good! Call 214-761-1575 for more details or prices and dimensions. Come on in this weekend for some great deals on new arrivals and sale items. Here are just some of the many items coming in daily. Call 214-761-1575 for more details or prices and dimensions. Merchandise keeps pouring in daily! Lots of smalls, art, décor, architecturals and furniture. The air conditioning is cold and the prices are great. Come spend time with us this week and have fun and get some good deals. Call 214-761-1575 for more details or prices and dimensions. We have a jam packed store.! Sales have been good, but the amount of new items has been an avalanche. We still have a truck to unload tomorrow! Here are some of the pictures, hopefully more to follow very soon. Come see us for the fourth! Open Sunday as well! We have lots of new items flowing into the store daily this week. Here are some of the newest items and more to be posted soon. Don't have time to get everything online today. Come see us! Call with questions 214-761-1575 or email us at info@lotsoffurniture.com Thanks! We have lots of new small décor items, art, architecturals and furniture from a local antiques store that is closing down, as well as other great stuff from our pickers. Call 214-761-1575 for prices and dimensions. If you have time, come check us out. There have been so many new arrivals, that we are running out of places to put things. This week would be a great time to come in and get a great deal on one of our many awesome pieces. Call 214-761-1575 for prices and dimensions. If you have time, come check us out. Happy MEMORIAL DAY! We are open today. We have lots of fabulous furniture that's been arriving all week long. Call 214-761-1575 for prices and dimensions. If you have time, come check us out. Just got in a large shipment of quality antique carvings and pediments, lots of furniture and lighting and some other really cool stuff. Come by and check it out! Call 214-761-1575 for prices and dimensions. A very interesting variety of antiques is in the shop today. This week we received quite a bit of furniture, paintings, small items, etc covering a wide range of tastes. Call 214-761-1575 for information. More will be posted over the next couple of days. We just received a nice European shipment, with tables, chairs, sideboards, buffets and lots of various size cabinets. Our sale is still going on, so come in and get some good deals on quality antique furniture. Call us at 214-761-1575 for price and dimensions. The Big Sale is still in progress! We have lots of new items coming daily and we are dealing on all of them. Thursday or Friday we are expecting a new shipment from Europe. Call us at 214-761-1575 for price and dimensions. Our Big Sale is in progress. We are offering 20% off any item and many pieces are 25%, and up to 50% off! We are marking more items 50% off each day this week. If you are worried about construction on the road, its not as bad as it looks. Traffic is worse after four O'clock, so take Dragon Street heading south to Wichita Street and take a right over to North bound Riverfront. That is usually pretty clear! You don't even have to get on South bound Riverfront. City View Flea Market and Sale and our Storewide sale! The Bi-Annual City View Antique Mall Sale is now in progress and will include a big Flea Market this Saturday! It promises to be a lot of fun. Lots of dealers will be set-up and everything is on sale. In conjunction with that event, Lots of Furniture is having a 20% to 50% off sale on everything in the store. (off original tag price)That sale begins right now! This week is THE week to buy an antique! April 15th, 2015 Lots of New Arrivals in the Store! The last couple of weeks we have received a great variety of unusual things. Stained and beveled windows, paintings, lots of lighting, furniture, outdoor items, and many small items are all in the mix. Don't forget City View Antiques is having their big sale and flea market! Space is available outside if you want to set up for the morning and early afternoon. Lots of interesting pieces are coming in this week. We have French and English furnituure, stained glass and architecturals. If you see anything you like, give us a call at 214-761-1575. We'll be happy to give you prices, dimensions and any other information you'd like to know! March 20th, 2015 New Arrivals! We've been unloading a nice European shipment today. There is a lot of variety with cabinets, tables, chairs and serving pieces. If you see anything you like, give us a call at 214-761-1575. We'll be happy to give you prices, dimensions and any other information you'd like to know! Here's some more of the great things we're getting from local estates and pickers. We'll be unloading a European shipment soon, weather permitting. If you see anything you like, give us a call at 214-761-1575. We'll be happy to give you prices, dimensions and any other information you'd like to know! We're expecting a large European shipment any day now, but while we are waiting, we've been getting a lot of good stuff from local estates and pickers. If you see anything you like, give us a call at 214-761-1575. We'll be happy to give you prices, dimensions and any other information you'd like to know! The ice and snow couldn't stop this fine shipment of French antiques from arriving just in time for the week end! There's a large variety of sideboards, cabinets, chairs, and tables as well as art, mirrors and décor. Please come check us out. Call 214-761-1575 for prices and dimensions. We've had tons of antiques and decor items come in this week from local suppliers, as we await our next French shipment, which is coming soon. Highlights this week are stained glass, lots of art and iron pieces. Call 214-761-1575 for prices and dimensions. Lots of nice furniture and smalls from France and Belgium just came in. Lots of rustic oak pieces and Louis XV pieces as well as a large Bruegle Court Cupboard. Call 214-761-1575 for prices and dimensions. Finally, some stained glass windows came in, and there going fast! There are also lots of lamps and chandeliers, art and unique items this week as well as great pieces of furniture. Call 214-761-1575 for prices and dimensions. Just received a large shipment of antique furniture from France and Belgium. There are lots of farm tables, servers and chairs as well as some awesome coffers. Lots of Louis XV and Country French designs. The store is really packed, so come buy something! Call 214-761-1575 for prices and dimensions. We have lots of new and interesting items in the store and much more arriving within a couple of days! We have done another round of mark-downs on a bunch of older pieces, as well. Call with questions 214-761-1575 *BREAKING NEWS: * NEW LOAD IS TO BE SHIPPED BY THE WEEKEND!!! PICTURES TO FOLLOW IN A FEW DAYS..
We have just received a large shipment of antique French and Italian pieces, many of them awesomely carved. There are serving pieces, table , chairs, vanities, and armoires, to name a few. Come soon while the selection is good. Call 214-761-1575 for prices and dimensions. This is the first posting of new items this year!. The store is packed. We have lots of stuff coming next week. We need to sell , so we have really good deals this week end. Please help us. Call 214-761-1575 for prices and dimensions. Year End Close Out Items-Check it Out! We have some fantastic deals here! Most of these items are marked below cost. We have to move them out to make room for all of the containers of European antiques coming the first of the year. This weeks new arrivals are mostly from local pickers and estates as well as a large selection of designer lamps and shades. We are waiting for our next European shipment to arrive soon. Come on down for lots of end of the year bargains! Store Wide End of the Year Sale! End of the year sale is now in progress! We are stamping lots of inventory with up to 25% - 50% off. Look for the red star or blue smiley face for the items with the biggest discounts. We want to reduce our inventory to save on tax and make room for the new items coming in January. Also, layaway is available with as little as 20% down! This new shipment from Belgium is huge! The pieces are huge. Lots of extra long sideboards, and extra tall bookcases and tall etched glass doors. There's a nice selection of tables too. Text the item # to 214-680-6853 for price and dimensions. The store is so packed we can barely get down the aisles! A nice little shipment from Europe came in yesterday afternoon. Lots of nice pieces, including marble top chests, sideboards, tables, mirrors and architecturals. We've been receiving some good inventory from local pickers, estates and individuals too. Text the item# to 214-680-6853 for price and dimensions. Look what's new this week! We have a ton of stuff for you to see. Come check us out. Text the item # to 214-680-6853 for pricing and dimensions. We received a large shipment of French antique furniture yesterday. There are lots of chairs, tables and sideboards, as well as huntboards, armoires, settes and other items. The prices on this shipment are awesome! If you need prices or dimensions, text the item # to 680-6853. Its this weekend! Don't forget to visit us after checking it out. Lots of new merchandise at both locations! Here are some of the new items! More to be posted through out the week. We have cleared the warehouse and brought everything to the main store. We are offering everything from the warehouse at a huge discount! Lots of varied merchandise from local pickers, estates, individuals. we also have a nice shipment of new table and floor lamps. We are moving out of are old warehouse too, so there will be lots of bargains this week. Here are the newest items in the store. It's a great mixture! More will be posted here later today or tomorrow, with luck. Ted and Tracie are still missing, because of the triplets who arrived on Friday, so bare with us. New Items just arrived this week! We have neglected to get all the pictures posted, because Tracie's pregnancy has made us very short-handed. She is delivering here triplets on Friday! I'm attempting to post some things today as the day progresses. Just know that lots more is in the store. We are very stocked-up this week! Thanks, and come see us! Lots of new items have arrived this week. Here is a small sampling of the new things. I'm only posting a few items from this weeks purchases. I didn't have time to do a lot. Much more is in the store and will be posted soon. There are lots of new furniture pieces, smalls and artwork. Come check out the new stuff over the weekend! Here is a sampling of the newest European shipment and some of the items from our Texas pickers. Call 214-761-1575 for information or email us at info@lotsoffurniture.com. If you have antiques for consignment, ask for Chris. Delivery and pickup is available for a small fee. Lots of new items in the store and more arriving this week. Call 214-761-1575 for information. We are so short-handed that we have not gotten many pictures posted of the new items. Hopefully by Tuesday we should have a lot more on the site. 214-761-1575 for information. This is the biggest shipment in months! I only have a small fraction of the pictures uploaded. More by Monday. Come see us! Here are a few of the newest items. More coming tomorrow. August Antiques Special! Print Coupon or bring in a digital copy for discount! Lots of great items on this shipment! There are several items yet to be listed. We should have more by the first of the week. Thanks to those who came in today. It was crazy! A big French shipment is due late this afternoon. Be the first to see it! There are lots of tables, servers, sideboards and chairs, as well as an awesome gold mirror and some great smaller items. Pictures won't be posted until late today or Sunday. Our Huge Summer Sale Is Here! The sale was listed until the 11th in the Dallas Morning News, by accident. So the sale continues! We will honor the red tags thru the weekend. Hopefully the new items will be posted tomorrow. Thanks for your patience. The sale has overwhelmed us! A big variety of items is expected this week. Here are the first of the photos. More to follow soon. Lots of things are coming from lots of different sources, so this week should be interesting. Here is a sample of the new items. This is a very big shipment of French antiques! There's something for everyone. Come see what's new in the store! Call 214-761-1575 for info. Like us on Facebook! There is too much merchandise to fit in the store! Here is a link with a lot of the pictures, but there is still a lot of stuff not photographed. Call with questions or email us at info@lotsoffurniture.com. Just getting started this week. Check this link over the next few days for new pictures! Wednesday NEW ITEMS POSTED!! 5/21/14 More coming sooon. This album is a collection of our European shipment along with several local arrivals. We will be adding more pictures here over the next few days. Also, we continue to mark-down select items to make room for all the new stuff! City View Flea Market was a great success! Thanks for attending it! These are items which are transferred from the old website and most are still in stock. More will be brought over in the coming weeks. NEW SHIPMENT TO BE POSTED BY TUESDAY! Texas acquisitions from our local pickers. Newest items this week . Lots of art and religious items. Check-out the sales items on your right. Click to enlarge. New pictures should now be posted regularly, since the website's basic organization is completed. Be sure to check-out the new posts page for ideas or instruction videos pertaining to antiques and design. Also we are posting sale items weekly on the right side of the site. Just click one of the thumnails or hover over it to see the price of these special sale items. Don't forget to like us on facebook to receive links to updates or new arrivals or sales. Re-post of photos on old site from December. Many items are still available. This was a really large shipment, with some great antiques onboard. Just call if you have any questions 214-761-1575 or email us at info@lotsoffurniture.com. We are open seven days a week. LIke us on facebook for special announcements, new shipment information and pictures. This shipment was received in February and we are reposting it now to the new site. New Arrivals Great European Load.